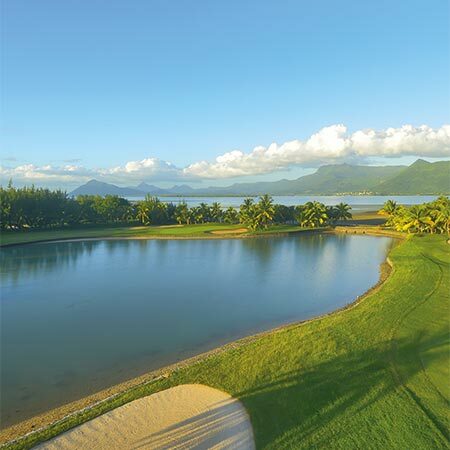 Located on the beautiful Le Morne Peninsula in the south-west of Mauritius, the Paradis Beachcomber Golf Resort & Spa is the perfect golf getaway with its own championship course within its grounds. Built within the grounds of the resort. Resort guests will enjoy a multitude of benefits such as world-class luxury accommodation including private villas on the waterfront, along with fine dining, spa services and extensive indoor and outdoor sports and leisure facilities.The Paradis Beachcomber Villas provide golf holidaymakers, their family and friends with the ultimate in tropical elegance and luxury. Opening directly onto their own private beach, they allow quick and easy access to the golf course and combine a feeling of total privacy with such thoughtful touches as a private golf cart, access to exclusive golf events as well as a dedicated Chef and valet service. Designed for both amateurs and seasoned golfers, the Paradis Golf Academy provides personalized training and tailor-made coaching complemented by computer software and video technology.